Elounda Gulf Villas & Suites invites in Crete you to live an unforgettable experience of luxury hospitality on the coast of a natural island with legendary beauty. 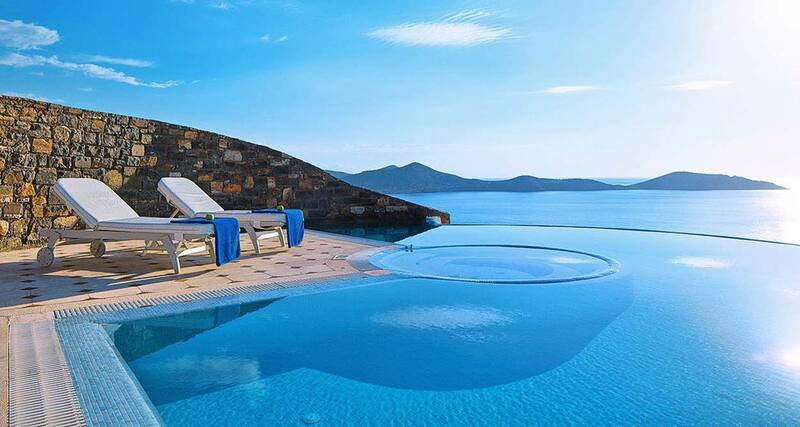 Elounda Gulf Villas & Suites complex includes 18 pool Villas and 15 Suites, all with breathtaking views over the azure waters of the Gulf of Mirabello and Crete landscape. In the heart of natural beauty, the facilities offers the services of a deluxe hotel and the warm, but exclusive ambiance of a private home. Crete, with its wild universe, its authentic beauty, its mountain ranges and lush vegetation is a land of legend in the middle of the Aegean Sea. This island blessed by the gods of Olympus saw the birth of the god Zeus who was raised by nymphs away from his father Cronos. With its rugged and rocky terrain, turquoise waters and cliffs battered by the wind, this Greek island steeped in history offers a fascinating world between mythology, conquest and intrigue. On the northeast of the island is the Olous coast, a now underwater ancient city and Elounda, one of the most popular resorts of Greece where celebrities from around the world come together regularly. Facing Spinalonga Island, surrounded by the banks of the beautiful Mirabello Gulf and surrounded by the most beautiful beaches in Crete, the seaside resort of Elounda is a tourist high-place in Greece. 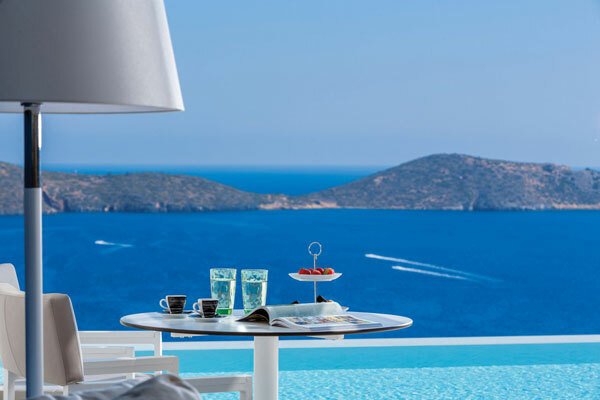 The city is home to some of the most elegant hotels in Europe including the beautiful 5 * Elounda Gulf Villas & Suites, a member of Small Luxury Hotels of the World. This luxury hotel nestled in a small fishing village, just outside of Elounda, is ideally placed as it is 70 km away from the port and 40 minutes drive from Heraklion International Airport, and 5 km from the pretty town of Agios Nikolaos and 1.5 km from the prefecture of Lasithi. After the shock of the views of the Aegean Sea and its azure blue waters as far as your eyes can see, the Elounda Gulf Villas & Suites offers privileged travelers a harmonious blend of contemporary architecture and tradition that gives the site a real character. Opulence, charm and elegance are the hallmarks of this prestigious establishment comprising 18 luxury villas on two floors of impressive size with huge beds and smaller ones to accommodate your guests. The fully equipped kitchen opens onto a private terrace offering amazement in front of so much beauty. 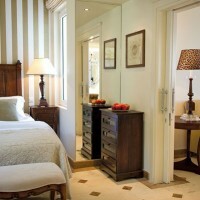 To better see oneself as Onassis, the property also features 15 stylish luxury suites. 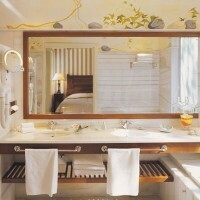 Elegantly decorated with marble and ceilings with hand-painted trompe l’oeil, its natural colors blending soothing and gracious tones gives this haven a unique island experience. Each villa includes a fully equipped kitchen, a private patio, a huge swimming pool with arabesques curves seemingly flowing into the Mediterranean, a private jacuzzi and breathtaking views of the Mirabello Gulf and unique sunsets over the nearby Spinalonga Island. A lift integrated into the landscape takes you directly from your suite to the private beach. The hotel offers exceptional custom service with availability and attention from staff and room service which obviously works round the clock. 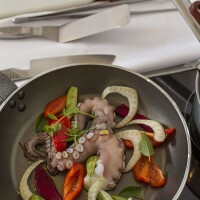 Greek cuisine, based on olive oil and fresh sun-drenched vegetables, is recognized as a healthy and tasty cuisine. 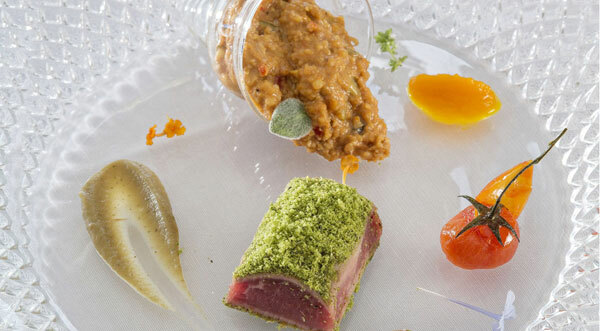 In a dream setting, overlooking the stunning infinity pool and the hotel’s majestic waterfall, the gastronomic restaurants The Argo and The Daphni – rewarded Gourmet Award 2008 – , offer Cretan dishes with, Mediterranean and international flavors, joyfully prepared by the chefs. 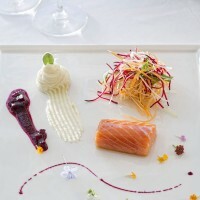 At the customer’s request, the chefs may come and prepare these culinary masterworks at home. A nice wine list and a 5-star service come with meals, creating an idyllic atmosphere for a festive and unforgettable culinary experience. The Elounda Spa & Thalassotherapy is a luxurious retreat combining the benefits of seawater and the opulence of a state of the art Spa. Behind the hotel’s olive trees, the thalassotherapy Spa extends over three floors in total privacy and a tranquil atmosphere. On an area of 2,000 m2, the health center has an indoor heated pool, two fully equipped Thalasso pools, two gyms, a relaxation room, 2 steam rooms, 2 saunas, 2 indoor and 1 exteriorJacuzzis and 7 massage rooms, 5 cabins for cosmetic treatments, 12 cabins for Thalasso treatments. 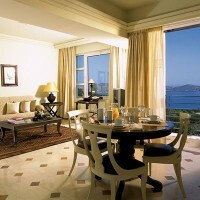 The Elounda Gulf Villas & Suites hotel offers its guests a remarkable range of sailing and motor yacht trips. For those seeking a relaxing holiday of sports, they can try the 9 or 18 holes hotel’s Golf in the vicinity. They can also practice tennis, diving, water sports in the sea or in the 4 swimming pools including one heated indoor. Children can enjoy activities dedicated to them.